[Blind Gossip] This rock star – and his band mates – have led fascinating lives chock full of music, women and drugs. Our lead singer told a story about a special wedding gift he received from one of his band mates many years ago. [His band mate] wanted to give him a special gift for his wedding, but he was having trouble getting it into the country. 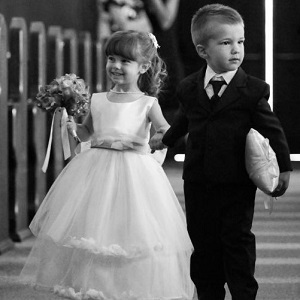 He engaged a mutual friend of theirs who was bringing a couple of his young kids along because they were going to be part of the wedding party. He basically split up a kilo of coke, taped it to the bodies of the little ones under their shirts and had them fly it to the wedding destination! While we do note that this happened before T.S.A inspections became the norm, the thought of him using these two children as drug mules to smuggle in this wedding gift is astonishing. Then again, given the amount of drugs they have consumed over their lifetimes, it’s astonishing that both of these rock stars are still alive to tell this story! [Optional] Your favorite rock star or band of all time? The lead singer is Eric Clapton, who got married in Tucson AZ. The bandmate is Ginger Baker from Cream. My favorite band is Queen. As much as I thought this was about the Rolling Stones, I think this blind may actually be about Dream Theater (aka Majesty), simply because the blind uses the clue “astonishing” in two different places. The band recorded an album called The Astonishing a couple of years ago. I’m going with Keith Richards and Mick Jagger. Mick Jagger or any of the guys in the Rolling Stones. The Toxic Twins: Steven Tyler and Joe Perry? Rolling stones. Keith Richards and Mick Jagger. That’ll be the Rolling Stones. Probably Mick using his moppets to give Keith Richards a heart attack of a wedding present. Ugh read the question…. changing it around Keith – to Mick Jagger. Not sure who it is but Aerosmith comes to mind. The Stones are my favorite!!! Rock star getting married: Mick Jagger. Tied between John Lennon and the Stones. Someone in Motley Crue, Duran Duran, or Aerosmith? Too many possibilities.